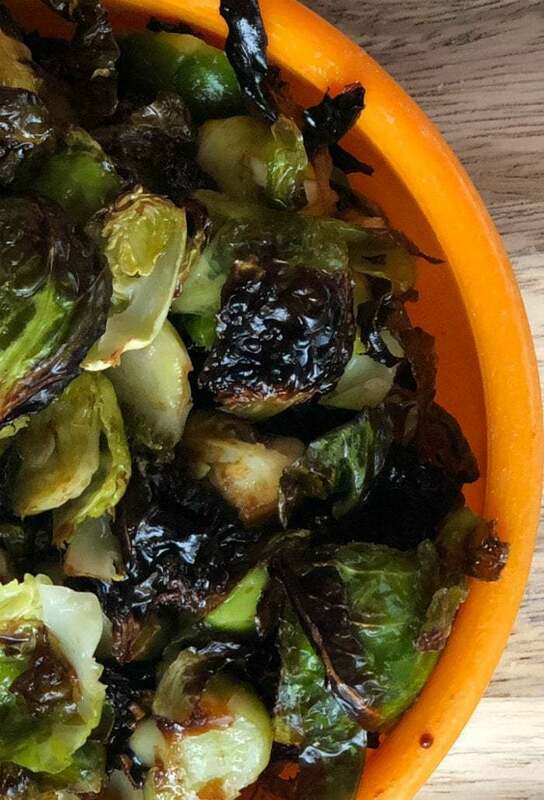 These sugar free crispy asian Brussels sprouts are a super healthy option for those wanting a sweet and spicy sauce that tastes like it has a million calories- and really only has a few. With one secret ingredient, you will swear these sugar free crispy Asian Brussels sprouts are fried- they don’t taste skinny at all! I’ll fully admit that I have been a veggie hater for decades- it wasn’t until I started living in Costa Rica and vegetables were a completely unavoidable part of life that I really began to fall in love with all types of vegetables. Chayote squash like in picadillo. Green beans and carrots in more picadillo, and of course Costa Rican style vegetable beef soup… yum! BUT- we all know about Brussels sprout jokes- how awful they are and no one likes them. I’m going to tell you a secret though- they are delicious. After trying them at a potluck (admittedly with bacon, but that’s just a minor detail, right? )- I fell in love. Brussels sprouts are little baby cabbages- and I love cabbage! 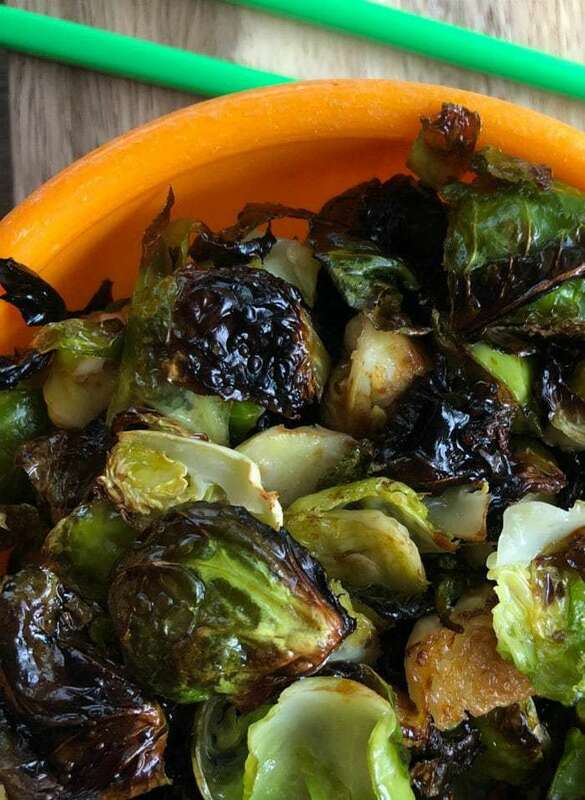 In my quest for delicious and creative Brussels sprouts recipes, I became obsessed with the crispy Asian Brussels sprouts from The Baker Mama– they were in our refrigerator or on the dinner table all winter. They are crispy and taste fried- but aren’t- and the Sriracha sauce packs a fun spicy punch layered over the sweet and tangy sauce. The Baker Mama’s recipe calls for maple syrup- and I’ve just started a diet and exercise program at our local research hospital called The State Of Slim- and in the first two phases we can’t eat any sugar. (Sugar withdrawal is crazy- but that’s a story for another post.) In my quest for fun vegetable recipes that are State Of Slim Phase 1 friendly, I decided to modify our favorite Asian Brussles sprouts recipe to remove the sugar. What makes the sauce on these Brussels sprouts so good is the sauce- it’s a spicy sour maple syrup reduction that thickens as it simmers. So delicious- and the sugar is the ingredient that makes the sauce thicken. I bought sugar free syrup and boiled the heck out of the sauce- only to find the sauce still thin and unacceptable. And then the heavens shone down on me— with a secret ingredient that replicates the original recipe- with no sugar. Hallelujah and pass the Brussels. I hope you love this delicious (and sugar free, and State of Slim Phase 1 recipe) as much as I do. I love to eat this recipe with chicken fingers pan fried in asian salad dressing and white rice, or with baked salmon marinate din soy sauce. And with lemon scallops! So much deliciousness. I also eat them cold for lunch with some lean turkey and a fresh greens. The possibilities are endless! These sugar free crispy asian Brussels sprouts are a super healthy option for those wanting a sweet and spicy sauce that tastes like it has a million calories- and really only has a few. With one secret ingredient, these sugar free crispy Asian Brussels sprouts have all the flavor and none of the sugar! Wash the Brussels sprouts and pay dry. Cut off the stems and then halve or quarter them. Line a large baking sheet with aluminum foil and place the shopped Brussels sprouts on the pan. Drizzle canola oil on top. Lightly sprinkle salt and pepper. Broil the sprouts on high for 10-15 minutes, or until crispy. I turn them one or two times during this process. 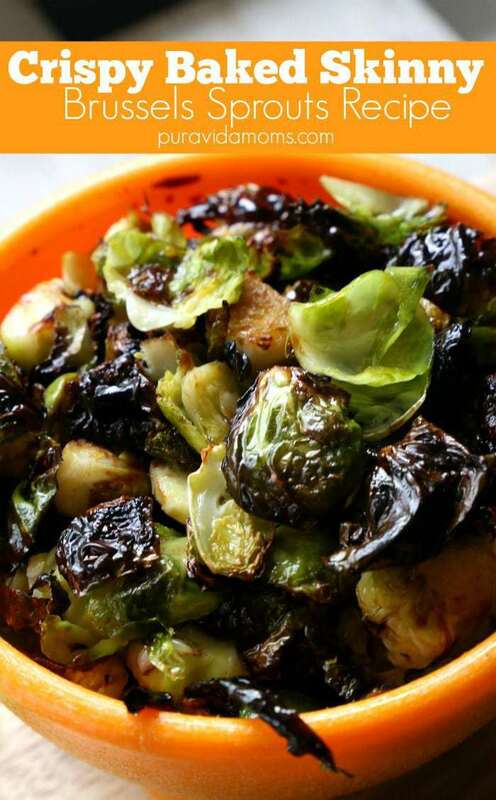 While the Brussels sprouts are baking, add the rest of the ingredients except the cornstarch into a small sauce pan. Simmer on medium for 3-5 minutes. Add the cornstarch and whisk into the sauce so that it thickens. Remove from heat. 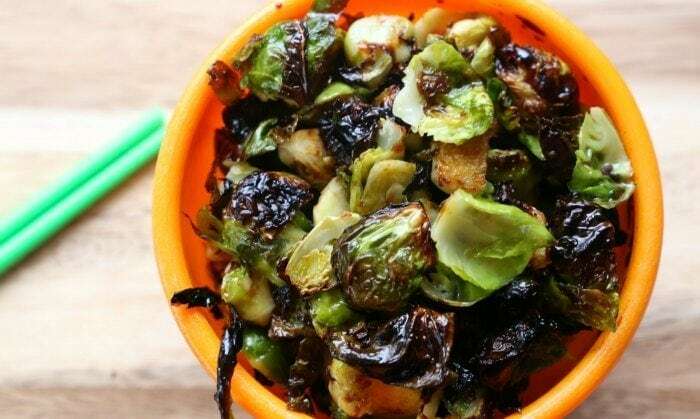 Remove Brussels sprouts from the oven and place in a small bowl. Pour sauce over the top and mix until evenly coating the Brussels sprouts. Serve warm or cold. Looking for other healthy and flavorful recipes from Pura Vida Moms?